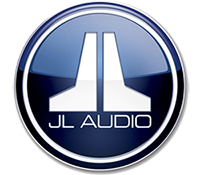 Learn more about JL Audio products. JL Audio builds and creates the world’s most advanced speaker systems in the world. They also offer precise speaker enclosures for every make and model vehicle. I think you will see the JL Audio’s total commitment to performance and quality in every detail of our products, but most importantly, you will hear it every time you listen to them.